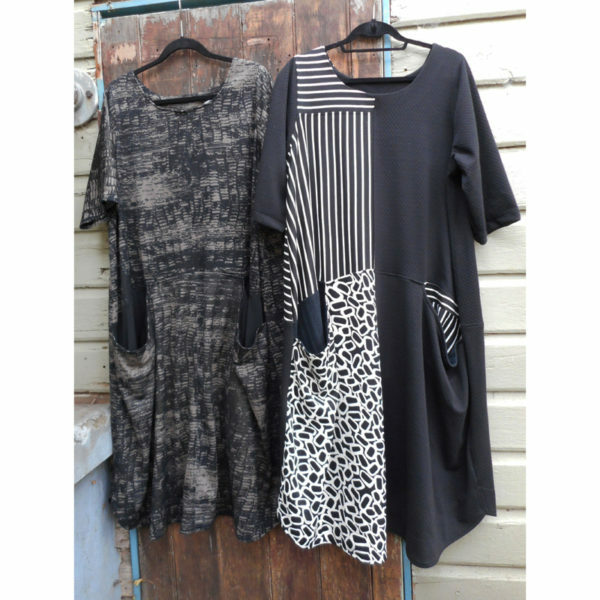 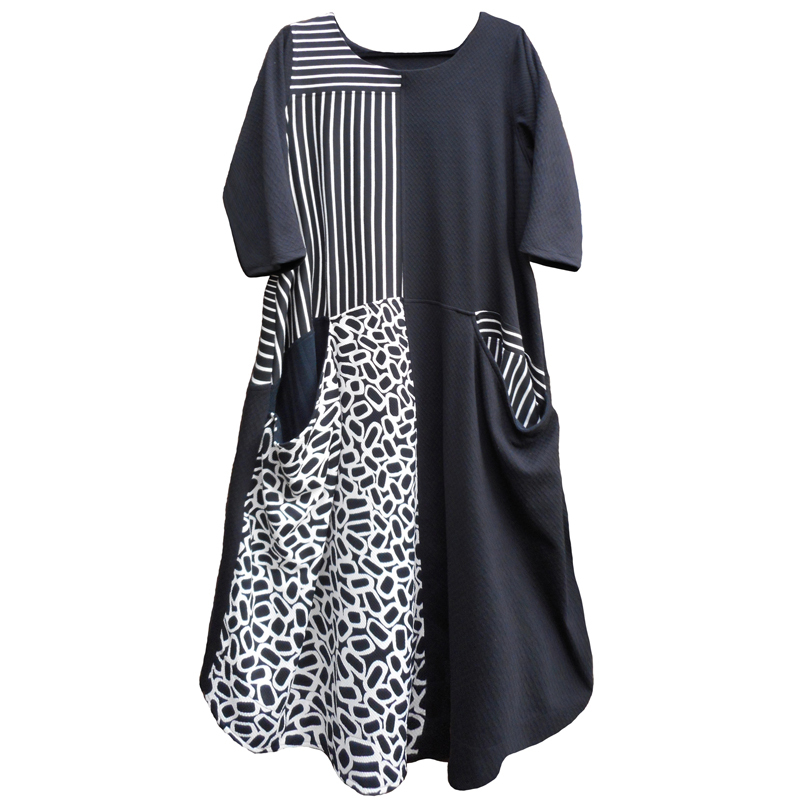 The Pheenie Dress is a womens pullover dress with 3/4 length sleeves. 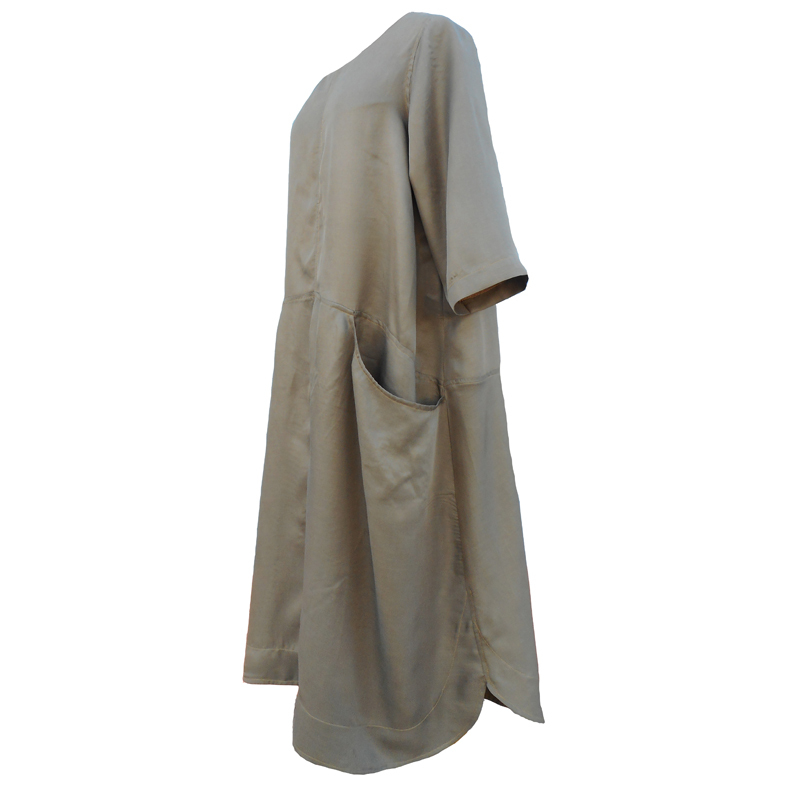 Features horizontally inset pockets at each side of the drop waist seam. The Pheenie Dress is a womens pullover dress with 3/4 length sleeves. 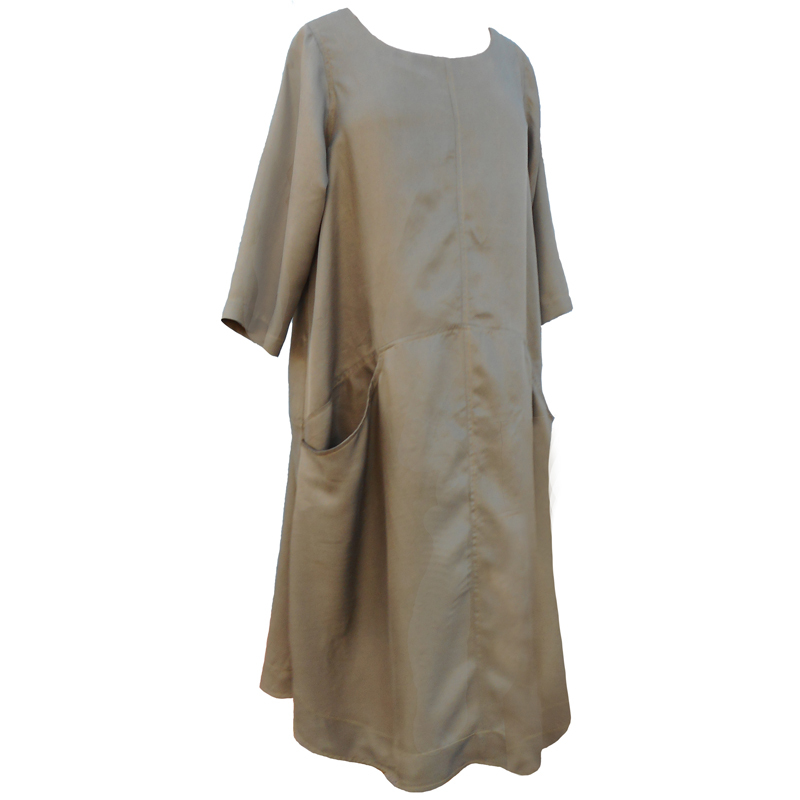 Features horizontally inset pockets at each side of the drop waist seam. 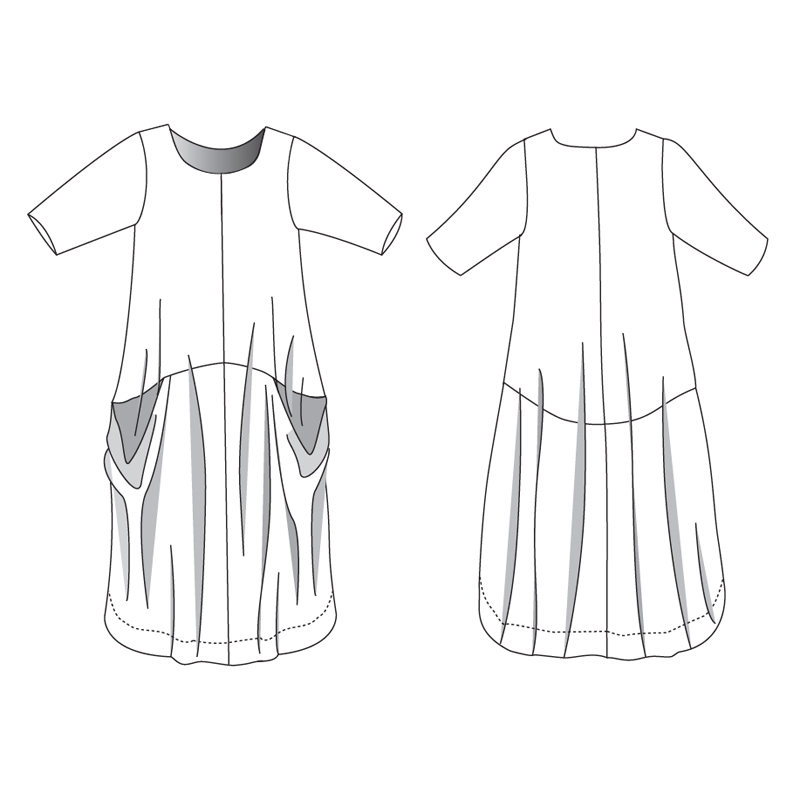 The front has 4 large panels and the option to make a 5th or 6th small “yoke” style panel at each top front shoulder. The back has 4 panels and the waist seam curves low at the centre back. 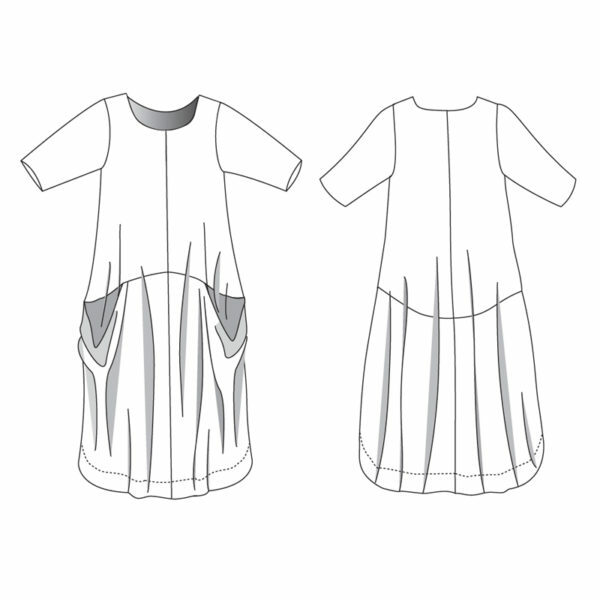 The hem has a wide facing and a shirt hem line curving upwards at the side seams. 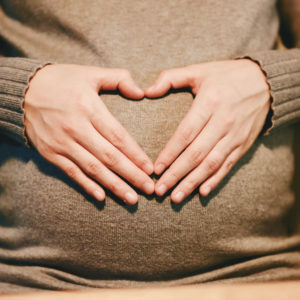 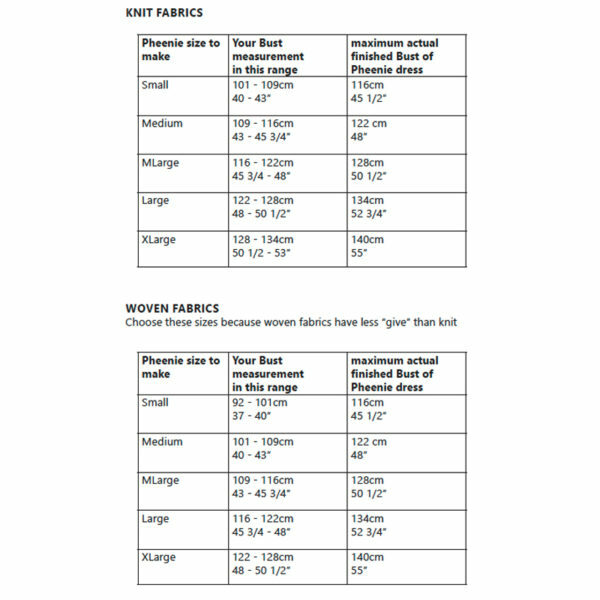 Woven or knit fabrics may be used. 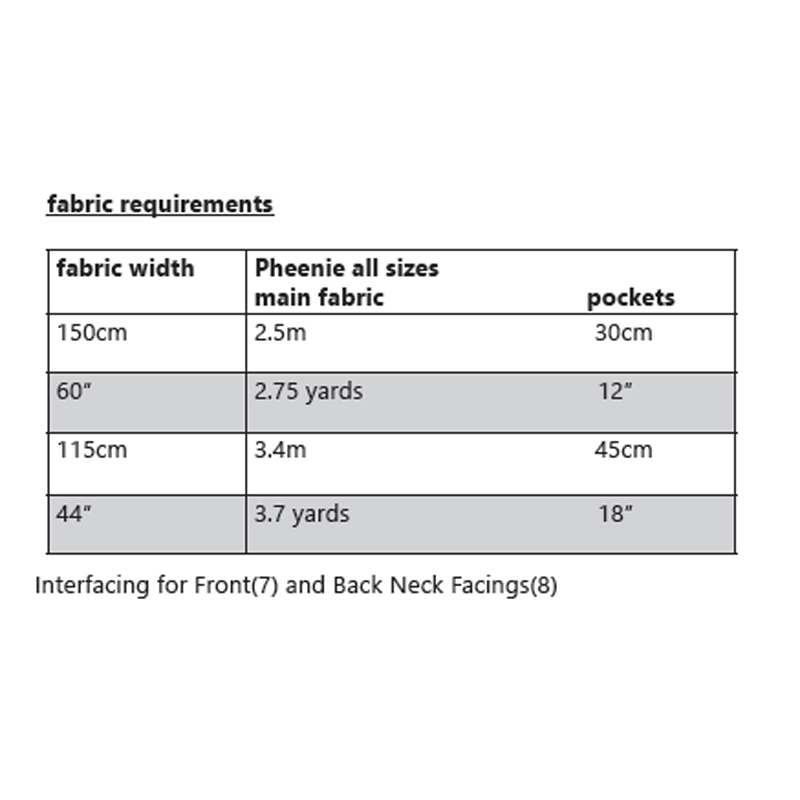 Use woven fabrics that have good drape, such as viscose or rayon. 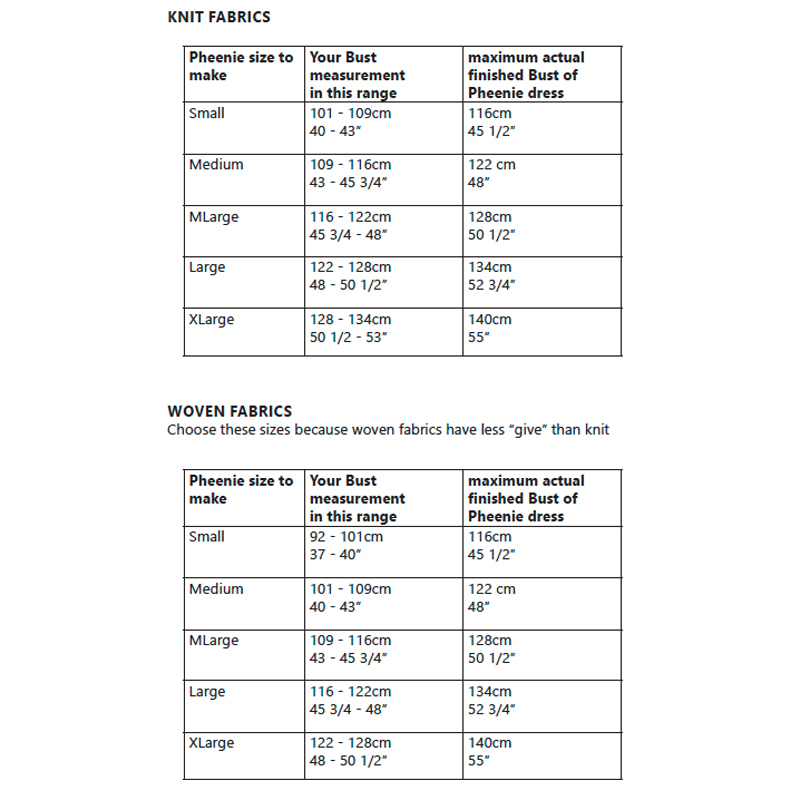 Knits – single or double knits, Ponte.